Special: $148.00 instead of $180.00. Our exclusive Chihuahua luminous table lamp is impossible to resist! The Chihuahua lamp really brightens up any home decor with its lovely details and gentle glow! It's an adorable little table lamp, or bedside nightlight, whether the light is on or off. Our little Chihuahua lamp is cute as a button, sturdy, well made, nd the soft glow is conducive to sleeping without being too dim so you can't find your way around the room at night. As featured in the "New York Times" Home & Garden section. 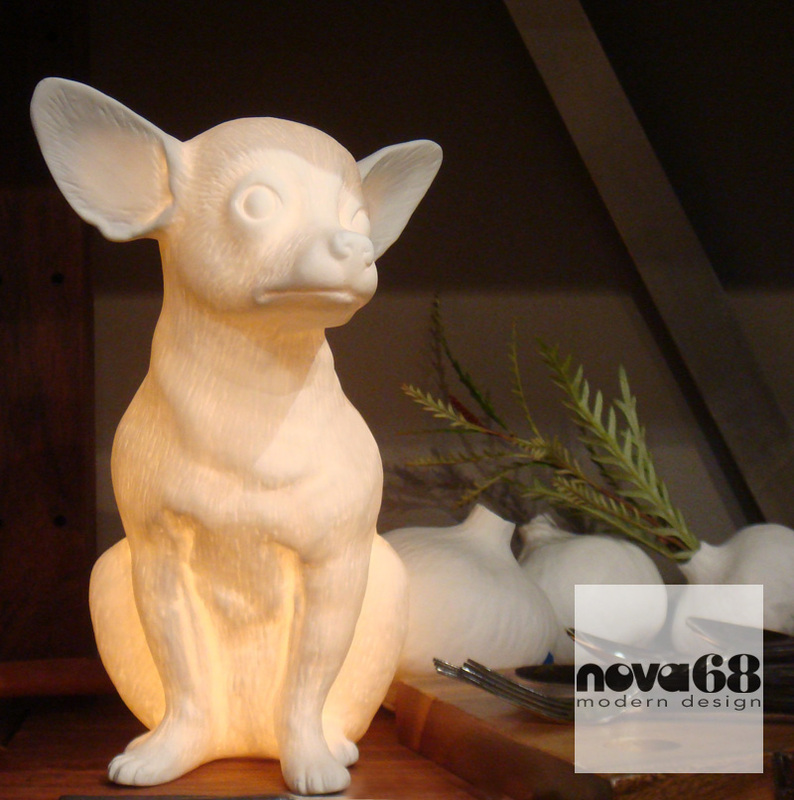 This wonderful luminous Chihuahua dog lamp is exquisitely crafted in matte bone china. Fill any corner with the cheerful and dream-like glow of this almost life-sized Chihuahua which stands about 10" tall. Display alone or as companions for added allure. Uses a 10 watt max light bulb (included) which emits a warm, soft diffused light. The Chihuahua lamp includes a 68" long white electrical cord with on/off switch. Made with UL listed components. Material: matte porcelain (fine bone china).